HOUSTON (KTRK) -- Many Christians observing Lent. It began on Ash Wednesday this week and lasts until Easter Sunday. For some, that means not eating meat on Fridays during the Lent season to honor the death of Jesus. In Houston, a variety of restaurants have meatless meals on their menus, and some of these places, you probably wouldn't expect. Ronnie is resurrecting last year's Fish Friday special: Battered and Fried Catfish AND Fried Butterfly Shrimp, with coleslaw, fries, hushpuppies, and house tartar and cocktail sauces, all for $13.99. Available Fridays, 11am 'til they sell out, starting Feb 10. Steak isn't the only thing Ronnie Killen's award-winning operation does well. Seafood is just as nice, especially with the return of Chef Teddy Lopez, back alongside Killen after bolstering his seafood skills with Japanese establishments including under Hori-San and Philippe Gaston at Izakaya. For a low-key end of week meal, visit the new restaurant during happy hour and create a meal of not-so-small, affordably-priced small plates, including Killen's famed Crabcakes, paired with an inventive libation or two. While they won't have specific specials, Dish's menu features all kinds of ways to enjoy seafood, from the light (Citrus-Glazed Salmon with Quinoa Citrus Relish, grilled or fried Gulf shrimp or fish tacos) to more decadent - the signature Shrimp 'n Grits are available at lunch and dinner and feature hearty Gulf shrimp and smoked gouda-bacon grits. with Tabasco-shallot butter. You can also add shrimp or salmon to any salad (3oz for $4, 6oz for $8) or build your own entre. A wealth of seafood offerings await on the permanent menu at Molina's. 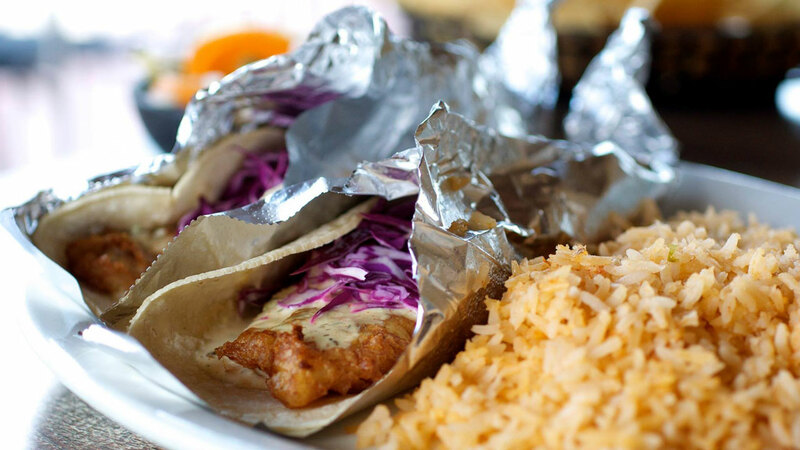 Choose from Baja-style or Grilled Fish Tacos, Camarones Empanizados (Jumbo Fried Shrimp), Cancun Shrimp Platter, Raulito's Shrimp Special, Grilled Redfish and more. Hard to go wrong with recipes that have been in the family for generations. Available at all three locations on Washington, Westheimer and Bellaire. Bernie's Burger Bus has just introduced The Falafel Burger for Falafel Fridays during Lent, starting tomorrow through Mar 24. It's Justin's well-tested falafel patty recipe, house tzatziki, homemade dill pickles, the signature garlic roasted tomatoes, shredded lettuce and thinly sliced red onion on the good 'ol Slow Dough bun. Available at both the Bellaire and Katy locations. And of course, I have a top 10 list of seafood restaurants.